Who Else Wants To Improve Their Invoicing Process While Saving Money? Every business creates and receives invoices no matter its size and market. I repeat Every Business. But how much of your hard earned money you want to spend on invoicing? Let me guess ..... none. So what you can do to ensure that your invoicing process is inexpensive, simple and efficient? Forget about Excel! Use Billing Software to Manage Your Invoices. The first step toward achieving efficiency is tо make the transition from manual invoice processing to electronic invoice processing. By using an online billing software, you could help your team manage fast and accurate invoices while establishing customer relations and improving your cash flow. We all know how time consuming is manual invoice entry. It's not only expensive but often a tedious process when there are invoices containing data errors, missed payments or mixed customer information. For example, every time you create a new invoice you have to manually fill in the product or service you are invoicing, the name of the company you are sending the invoice and other details. Not only that but you need also to print your invoice on paper and send it by mail. Imagine how much simple this could be if all that tasks are automated. All these issues are easily avoided with an invoicing software. This kind of software can help you significantly reduce your manual work. Once a customer or supplier data is entered, you can access it anytime with a few mouse clicks. Having the data validated electronically lowers the risk of errors. Cost-reduction is usually the main driver for the adoption of e-invoicing. The costs to a business to process paper invoices is significant. According to most studies, a paper invoice average cost is $3.90 while electronic invoice process can result in saving 60-80% of this expense. You can gain significant cost benefits from updating certain AR (accounts receivable) routines. You don't need to enter an invoice data manually into an AR software anymore. The entire process can be streamlined. All accurate data is automatically delivered to the accounting or ERP system. A process that was previously handled by several employees can now be completed automatically by a billing system. I don't know if you noted, but I said above you need to implement an online billing software. You will ask why online? The answer is simple - you are able to access your invoicing system from any place in the word via the Internet. You not only create invoices on the go but also gain real-time visibility into invoices status. You see, It's even possible for multiple users within the organization to log in and use over the system. Because all invoices are available directly from the software screens, users can review and approve invoices or input additional data. You can not only track each invoice, when and to whom it's sent, but also if an invoice is open and download. By electronically capturing all documentation and storing it in one system, you gain visibility in what is happening with your business at any given time. 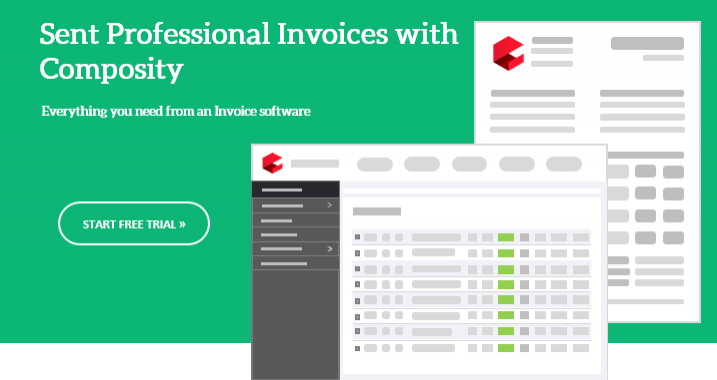 It's easy to track outstanding and partially paid invoices. You can follow up with the customers and ensure you get paid. An invoicing software allows you to keep an up-to-date record of all your customers, including contact details, issue invoices and payments. As a business owner, you can see quickly your billing history over any time period in just a few clicks. You can sort by a client, date or invoice status. This can help you monitor clients who are not paying you on time or reward the most loyal ones. Most businesses are usually busy, so it can help to send a reminder when payment is due. Set up and send reminders to customers that haven't paid you yet. An invoicing software keeps track of due and received payments. This process can be automated so all customers with overdue or partly paid invoices received online reminders until an invoice is entirely paid. Customers become accustomed to your billing timing. In these tight times without proper cash management, no business can survive. Your cash flow indicates an ongoing ability to generate and use cash. It is one of the most valuable measures of strength and profitability for your business. That said, it's extremely important for you to know: When would you get paid? Simply stated, the best part of implementing a billing system is predictable cash flow. With e-invoice distribution organizations have better visibility to scheduled payments, increasing its ability to perform short-term and long-term cash flow planning. You have constant information about cash availability and where that cash is coming from. An automated, consistent and reliable invoicing system creates a big picture along with daily reports of income. Some invoicing systems have a cash flow forecast. This feature predicts the next 12 months likely movements of cash in and out of a business. It's an estimate of the amount of money you expect to flow in and out of your business. In recent years, it became very popular to pay directly from an invoice. This is possible if an invoicing software supports pay now button or direct payment link on invoices. Your customers just click on a button or link on your invoice and make direct payment using their credit card, PayPal or another payment method. It’s easier for you to get paid fast and on time. An invoicing software makes it available to gain critical insights on your business performance at a glance. Most systems come with standard predefined popular reports like: payments received, invoices status, time frame, clients and more. Depending on the billing software you're using, it's also possible to generate custom reports. An invoicing software can improve your invoicing process pretty fast and stress-free. It can give you the ability to send, track and analyze your invoices for less money and efforts compared to traditional paper-based processing. It's up to you to decide if you want in the new age of technology.